Remain still and quiet, and listen for the song that is different from the rest, instructs Curtis Smalling, a Boone-based birding expert and director of Land Bird Conservation with the High Country Audubon Society. In high school, Smalling expanded his knowledge beyond what he could hear by regularly checking out library books. 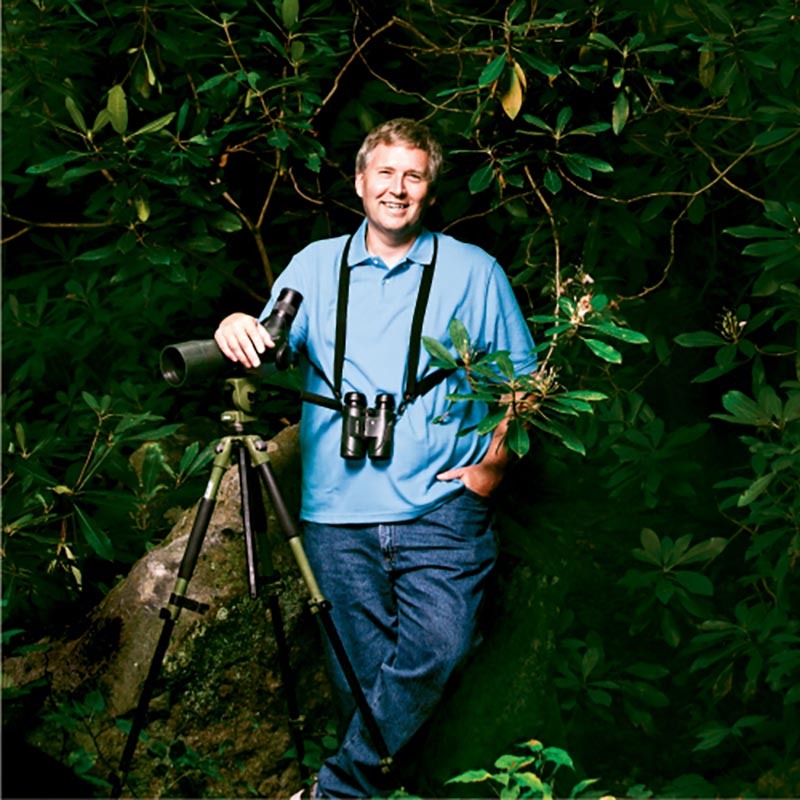 The librarian noticed his passion and introduced him to her husband, an ornithologist who later became Smalling’s college professor at Appalachian State University. Eventually, the childhood hobby blossomed into a career with the Audubon Society. Today, Smalling doesn’t just listen for the song of the black-capped chickadee; he studies its genes to reveal the health of the species. And the brown-headed nuthatch? He knows just where it likes to live, so he’s leading a project to build 10,000 nest boxes for the songsters. He also provides information to the forest service and other groups to encourage bird friendly planning for the future. Even with the technology, the expert’s advice to new birders is unchanged: Remain still and quiet, watch, and listen. Start by discovering what’s in your yard. Learn the calls: We hear 90 percent of birds but only see 10 percent. Train your ear to isolate one instrument in a song. Then try to single out a particular bird call from the masses. Get used to using binoculars. To learn more about birds and listen to their songs, visit www.audubon.com/field-guide.